The sun – still slumping | Watts Up With That? Leif Svalgaard – Click the pic to view at source. Is a Maunder Minimum on its way? What’s with the flat spots in the Boyle Index? The contrast is low due to low quality image processing of the yellow colorized version. For a much better assessment of the sunspots use the non-colorized versions with higher resolution, referred to under the yellow image on the solar reference page. The contrast is fine visually, but the umbras are getting smaller. The L&P effect is clearly real. Nobel Prize winners, Al Gore and the UN’s IPCC, have assured us Earth’s climate depends on CO2, not on the Sun. What Earth sees is down. What Earth feels is up. The first of the above is interpreted by many to predict a cooling Earth. Thanks for the update, Anthony. Solar intensity is still on the wane even as the current solar cycle (SC 24) heads toward its maximum next year. If David Archibald is correct, SC 25 could be even weaker. We may be headed for a long-term cool-down, which would impact agricultural production in the northern hemisphere grain belts. We should be far more worried about a global cooling than global warming. As history shows, extended periods of cold have led to widspread famine and loss of life. A warming planet is a good thing. Will we see Ice festivals on the Thames again? Only time (not computer models) will tell. Seriously though. These results of solar observations make the case for more research into frost tolerant crops. There seems little doubt the weather/climate of my youth is about to return. I did enjoy the igloos/ snow forts we made and played in. “They also observed that SUNspot temperatures have risen exactly as expected for such changes in the magnetic field.”…..is what I think they are saying? For someone who isn’t very fluent in speaking and understanding “sunspots”, this is just another one of those swosh-moments. Can someone who do speak “sunspots”, give us minions an abbreviated “The Idiot’s Guide to sunspots”, please? What does it all mean ? Are we doomed ? whats it all mean to the average Joe/Jane? Please read the whole article, down the page is an update to the Penn and Livingston projection of when the sunspots disappear. I think the slump in spot numbers will continue. These are bad news. While nature is getting cooler we getting poorer to avoid warming that is not happening. 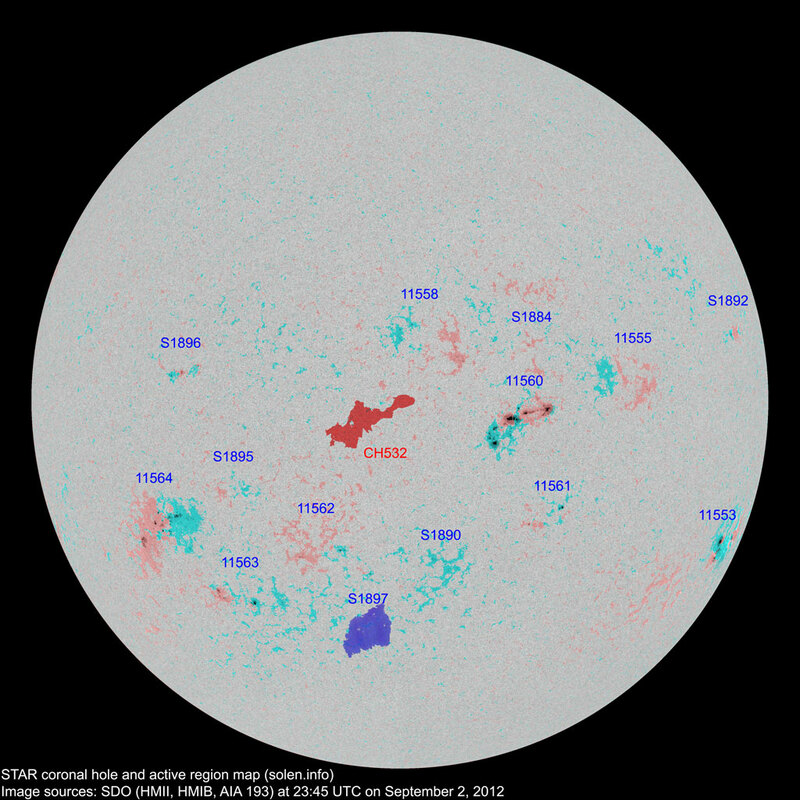 @SanityP – A Sunspot is a magnetic storm on the sun. By themselves, sunspots don’t necessarily mean anything, but many believe that the sunspot number is related to Earth temperature. More sunspots = Warmer Earth, Less sunspots = Cooler Earth. 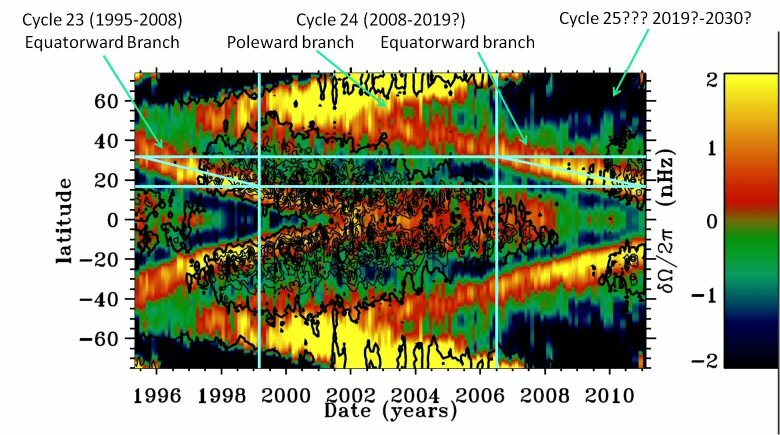 No mechanism connecting changes in net solar angular momentum to changes in solar cycle strength is offered, but the various Grand Solar Minima do crop up historically in conjunction with perturbations in net angular momentum. So it’s not a theory, and maybe not yet an hypothesis, but what is called in Science a Law. 1. The sun has things called sunspots on its surface some of the time and the numbers of them have been shown to oscillate from a minimum through a maximum and back down to a minimum in a cycle whose length varies from cycle to cycle but is usually around 11 years. 2. Due to changes in the sun’s magnetic field, the solar cycles are usually grouped in pairs of ‘odd cycles’ and ‘even cycles’. One pair is called a Hale Cycle which is usually around 22 years. 3. It has been shown that certain features in the global weather patterns show cyclical patterns, some of which are linked to one solar cycle, others to the Hale cycle. There are other ‘footprints’ of shorter or longer duration which are also linked to interactions between solar and lunar variables; solar and big planet variables etc etc. 4. The effect of sunspots is to change the intensity of certain radiation emitted from the sun which reaches the earth. Occasionally, these can be major pertubations when features called ‘Coronal Mass Ejections’ or ‘Flares’ occur. These have effects on radio signals, satellites and other things orbiting our earth, so folks like NASA, the Hubble Telescope guys etc etc monitor these things carefully. 5. People have noticed that every few hundred years the sun ‘goes quieter’ or ‘very quiet’ for a few decades to several decades. These periods are called minima and are usually named after someone. The Maunder Minimum in the Middle Ages was particularly quiet, whereas a smaller minimum occurred in the early part of the 19th century and was called the Dalton Minimum. 6. Although understanding is still far from complete, researchers are now trying to link solar activity, specific solar output to weather patterns, either short-term or long-term. Piers Corbyn of Weather Action Ltd is someone who makes a living out of this, being particularly adept at predicting extreme weather events associated with solar/lunar pertubations several months ahead of time. His method continues to evolve, as he would freely admit both to his subscribers and those who read his website (www.weatheraction.com). 7. In general, also, the fewer the sunspots you get in an 11 year cycle, the greater the likelihood there is of cooling of the earth. Conversely a series of high sunspot cycles, as occurred in the 20th century, is postulated/believed to be associated with a warming climate. The Little Ice Age was associated with the Maunder Minimum, which was the quietest period of sunspot activity in the past 500 years. 8. Researchers are also wondering whether frequencies of volcanoes/earthquakes/tsunamis etc can be linked to the sunspot cycles. There is certainly no official scientific proof of this, but people are looking at it and having attempts at predicting such events. Time will tell whether they are accurate or not. 9. Of course, if scientists could predict how sunspot cycles would pan out a few decades in advance, this would be extremely valuable for mankind if our politicians, financial communities and farmers made good use of such information for the benefit of societies. In particular, if we were able to predict a marginalisation of yield in major growing areas like Canada, the Northern Mid West of the USA, Russia/Ukraine etc due to the onset of a mini ice age, then efforts would surely be made to evolve agricultural production through lower latitudes. It’s by no means clear that we are able to do this yet and it may take 100 years more of detailed research before it does become possible. 10. Really detailed monitoring of the Sun has only become possible in the era of satellites and telescopes and therefore data prior to about 1950 isn’t really as accurate as the measurements since 1979, when the first satellite data started coming through. As a result, true understanding of what sunspots looked like back in the 1700s, 1800s etc etc is never going to be as accurate as scientists would like. 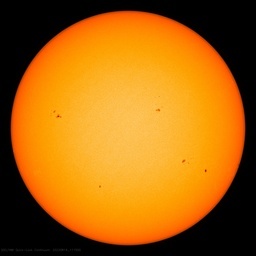 Nonetheless, data from 24 cycles of sunspot cycles since the end of the Maunder Minimum is what scientists use for their predictions for the future. 11. Currently, many scientists believe that the current cycle (24) and the next one (25) will be much weaker than those which have preceded them. There is a body of opinion which believes this points to cooling tendencies from the sun, although how any warming of oceans may compensate for that in terms of air temperatures and subsequent land temperatures is less clear. Scientists who believe that solar output is a major contributor to temperature fluctuations on earth are therefore somewhat skeptical about the ‘global warming’ scaremongering going on particular those who postulate increasing carbon dioxide as the major forcing mechanism. 12. It would not be considered ludicrous therefore for politicians to plan for little rise in temperatures for the next 30 years and they should certainly scenario plan for a possibility of significant cooling. Given, however, that the Dalton minimum in the early 19th century only lasted for 2 cycles before solar output increased again, until proven otherwise, it should be assumed that a return to potentially warmer fare may occur thereafter. Politicians will ask scientists, however, to be constantly looking out for signals that the sun may be going into a deeper sleep and they should be planning how to manage a Northern Hemisphere which might become dangerously short of food in the absence of the Sahara not becoming more fertile in response, should a Maunder-style minimum come to pass. I wouldn’t expect anyone to take this as gospel truth, nonetheless, I reckon it’s probably a fair summary for non-experts and certainly doesn’t say anything which is clearly false. Is sunspot 1560 our first truly equatorial spot group of the cycle? If so, does that indicate we’re truly entering the max? I am not an alarmist. I would really like the world to keep warming up at the rate (the real one) that we saw over the last century or so. But I also believe that watching the sun is the best way to guess what comes next and it does not look good. I don’t really want to see a frozen river in the middle of London. We need a warm climate for our food crops. We have 7 billion people to feed! Thanks. A short and to the point elevator speech there. Why has the TSI data been recalibrated since Wang Lean Sheeley? Surely TSI is a more valid metric than the sunspot count? Can someone give us a summery of what it means? and Russ, I didn’t see any clarification on Livingston and Penn or anything down the page–the link went to the reblog and then linked back here. circular. Just came across this article in Science Daily. Has this been dis-proven? Can’t find much info online about it. a much longer time span than previously thought, and this solar activity, in turn, may likely cause the 100,000-year climate cycles on earth. This research helps scientists understand past climate trends and prepare for future ones. I realize it’s a bit old although that doesn’t make it wrong. Any comment from the solar experts posting? If it’s legitimate, seems like a slam dunk….. It may sound odd, but I would say that the last cycle’s (SC23) peak of activity, gone away more than a decade ago is the important factor in the current temperatures. Low solar activity is nothing to worry about because the control knob of the Earth’s temperature is the all powerful global warming gas CO2. It’s so powerful that it has caused the temperature to rise hundreds of years before CO2 started to rise according to ice core data. The high Boyle index and the “step” in solar wind speed are due to the passage of a coronal mass ejection (CME) that left the sun friday evening. Note the temperature is around 100.000K and density is about 10/cm3; with a coronal hole these values would be near 1.000.000K and only a few particles/cm3. The CME was due to the eruption of a filament. For a clip of this magnificent explosion see http://www.youtube.com/watch?v=bKz18xwPO44 There are many more clips of this event on You Tube. For SanityP and any others who are not familiar with this subject, may I recomment the book The Sun Kings, by Stuart Clarke. For anyone interested in the history of science, as well as the science itself, I found this to be a fascinating book. Well, if your hypothesis of an approximately 10 year lag in response to solar activity is correct, then I can see why you say this. Sun spot count is just an indicator, Less spots appear to cause cooler temps on earth, I don`t think our esteemed scientists have figured out the actual mechanism yet. Thanks for an interesting, though not particularly reassuring, post on our subdued sun. Getting older in a country which never misses opportunity or excuse to jack up energy prices, I have a certain grim interest in the situation. Radio propagation is pretty unspectacular most of the time too – I shan’t be suggesting a milliwatt QSO ‘twixt UK and Chico anytime soon. It just ain’t got that maximum feelin’. Interesting times. If there is good evidence that a solar minimum is happening, and that it will have drastic effects on global temperatures, should not some group be trying to get this imformation out to the public. The global warming scare has pretty much run its course, it doesn’t really grab the average persons attention anymore. So the media is ready for the next planet ending threat. Combine that threat with the fact that, it by its very nature, proves massive fraud by all those people who lied to the poor naive media and you might have the next media meme. And unlike GW, GC is a genuine threat to humanity. Especially as we are about due to take the big dive into another ice age. That curve is pretty flat. I think we could peak early, like the beginning of the year. Cooling ambient air isn’t the only crop limiter. It is colder water irrigating rice during the 10 – 12 day booting-up stage of micro-spores prior to plant reproduction’s seed heading that depresses crop yield. Approximately 4% less sterility occurs for an extra 1* Celsius water temperature. Experiments with different rice seeds irrigated prior to heading show 8 – 70% seed spike sterility if water 19.2*C; other experiments with water 12*C gave sterility from 17 – 79%. So, a little medium to longterm speculation in property might be a good investment in Spain, Greece, etc. Could solve the Euro crisis if they can just hold out. In 1998 solar activity wasn’t at particularly high level, and year 2010 was just one year off from solar minimum, although it was the second warmest year on record. In contrast to that, the most active solar cycle maxima was obseved during solar cycle 19 in 1957, and yet the global average temperature on that year was 0.87 degrees celsius below of that during the last minimum, 2009. So clearly there are other factors than just the solar activity that enforces the evolution of global temperature. And, if it’s not the shape of solar radiation spectra that explains the current temperature evolution, then there have to be something else to consider. Could the missing factor be the fact that we have changed the composition of our planet’s atmosphere? The Wind Speed jump isn’t from the coronal hole, It’s from a filament released CME that impacted us, creating a Moderate Geomagnetic storm. That particular coronal hole wouldn’t get to Earth until later in the week due to the Parker Spiral. The filament eruption from Friday isn’t mentioned above. But, these are nice videos to see of it. I am interested in to see if cycle 25 has shown up yet, a year has passed since that plot and haven’t been able to find any updated data. I may be searching at the wrong place. I think “temperatures have risen” is referring to the temperatures of the sunspots, not spots on the Earth. Does anyone know if the torsional oscillation mentioned in the June 2011 WUWT article ever started up? It’s failure to do so was one of the early signs that was suposed to point to a comming Grand Minima, but I can’t find any other mentions of it past 2011. Question: Do the more densely packed observations toward the end (2011-2012) of the umbral charts have an interpretation? Thanks. 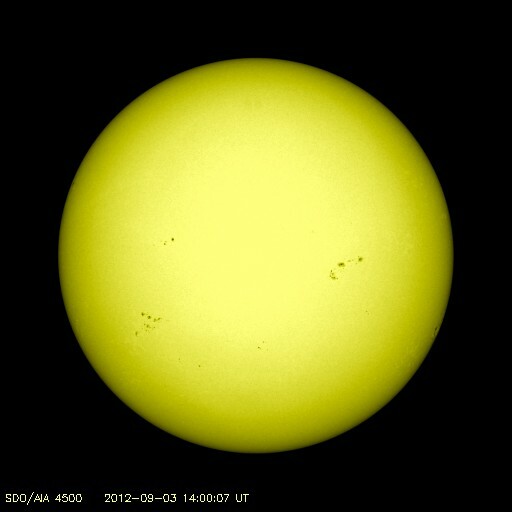 G.D. says: I think “temperatures have risen” is referring to the temperatures of the sunspots, not spots on the Earth. As the temperature of the sunspots increases they brighten and do not appear against the background of the Sun – as they do when they are cooler (and darker). This seems like the surface of the Sun, being overall brighter, would be radiating more. And this causes the Earth’s atmosphere to cool — How? There have been numerous ideas presented in the last 6.5 hours since my first comment. Many folks see the count of sunspots as a proxy for something that alters Earth’s climate. Just what that might be still eludes the best scientific minds. Those suggesting cloud formation and albedo** think they have a dog in this fight. Others argue against that. Because CO2-CAGW fails in so many ways, and we have a lot of alternatives shouting “Look at me!” – I conclude we do not know. CO2 currently comprises less than 1/25th part of ONE percent of our atmosphere. Since the 1950s it has increased from 350ppm to 390ppm or slightly less than 1/100th part of one percent. The fact that you would attempt to link solar conditions with simultaneous measurements of the earth’s temperature indicates that you might not have much of a grasp of physics. Do you by any chance believe in ‘homeopathy’? … Because CO2-CAGW fails in so many ways, and we have a lot of alternatives shouting “Look at me!” – I conclude we do not know. I’m not a gambler. I wouldn’t bet a few trillion, even if I had it, on a theory unless it was a sure thing. CAGW isn’t a sure thing, CO2 or not. @ Rhys Jaggar , thank you–that was a great mini course! Unfortuantely, they already did that one too, in the 70’s. They need something new–I vote for pole reversal. Dissolve an aspirin in an Olympic-sized swimming pool. Mix well. Then take a teaspoon of that water, put it into a different Olympic-sized pool. Mix well. Then swallow a teaspoon of that water, and your headache will disappear. Sound preposterous? That’s homeopathy for you. And it’s not much different from the claim that a tiny trace gas will cause disruption of the atmosphere and climate catastrophe. We have been monitoring conditions on Mars for a few decades now, and even more precisely with the rovers for the last few years. Yet I hear nothing about fluctuations in climate there. If the sun activity, measured by sunspots, UV, magnetism, particle flux, etc., is affecting earth, shouldn’t Mars be affected? Where can we get the bird’s-eye low-down about Martian climate changes? If nothing is changing on Mars, and as NASA seems to be clearly in the warm-earther’s camp (IMO), I would have expected them to trumpet that fact of absence of evidence to minimize the hypothesis that the sun is a primary driver of earth’s climate. Since NASA is quiet, should I be suspicious of that silence? A sunspot is not the entirety of the sun. The contrast of the sunspot comes about from the intensity of the magnetic field withing the sunspot. The greater the field intensity, the more effectively plasma is pushed from the center of the magnetic that makes up the spot. As that field strength declines, the brighter the sunspot appears to be, relative to the rest of the sun, yielding a lower contrast. At some point, (if this continues) it is likely that the field strength will not be enough to make visible sunspots… though the structure that forms them will still be there. I suspect the orbiting spacecraft around Mars and surface rovers are not primarily designed for climate observations, so little data would be available at this time. Looks like random variation to me. Needs more data to make sensible claims. @bubbagyro: I seem to recall an article or two a few years ago comparing Martian icecap images indicating that Mars had seen warming very similar to that on Earth. I don’t know how extensive the weather stations on the rovers were as they were mainly a geology experiment package, but after a quick online check it seems the first two rovers had no weather station on board. The current rover does however have a pretty good weather station on board. I haven’t seen any of that data shared yet, but it just started sometime after the landing on 6 August so there isn’t enough data to get a trend anyway. I’ve always wondered: can we really call it “GEOLOGY” when it is on another planet? After all, isn’t GEO a base word for one of the Greek names of the Earth? Should we be calling it something like Marsology? But temperature is the easiest thing to measure remotely through infrared sensing and other forms from a radiating body. The Mars orbiters take all kinds of data in many wavelengths. That’s how we can reckon subsurface environments and conditions on the surface as well. Our earth satellites measure temperature as a proxy of infrared emittance (emissivity), for example. No, I am sure they have temperature on the surface and temperature proxies up the yin-yang, for at least three decades worth of measurement. As a matter of fact, temperature can be measured on Mars from earth, or from Hubble or other orbiting telescopes. Also, contraction and expansion of ice and carbon dioxide at the poles of Mars can be measured to a meter resolution or better. They have it in spades, and they ain’t tellin’! Infrared spectral observations of sunspots from 1998 to 2011 have shown that on average sunspots changed, the magnetic fields weakened, and the temperatures rose. The data also show that sunspots or dark pores can only form at the solar surface if the magnetic field strength exceeds about 1500 G. Sunspots appear at the solar surface with a variety of field strengths, and during the period from 1998 to 2002 a histogram of the sunspot magnetic fields shows a normal distribution with a mean of 2436 ± 26 G and a width of 323 ± 20 G. During the observing period the mean of the magnetic field distribution decreased by 46 ± 6 G per year, and we assume that as the 1500 G threshold was approached, magnetic fields appeared at the solar surface which could not form dark sunspots or pores. With this assumption we propose a quantity called the sunspot formation fraction and give an analytical form derived from the magnetic field distribution. We show that this fraction can quantitatively explain the changing relationship between sunspot number and solar radio flux measured at 10.7 cm wavelengths. The contrast is low due to low quality image processing of the yellow colorized version. Thanks for jumping in. 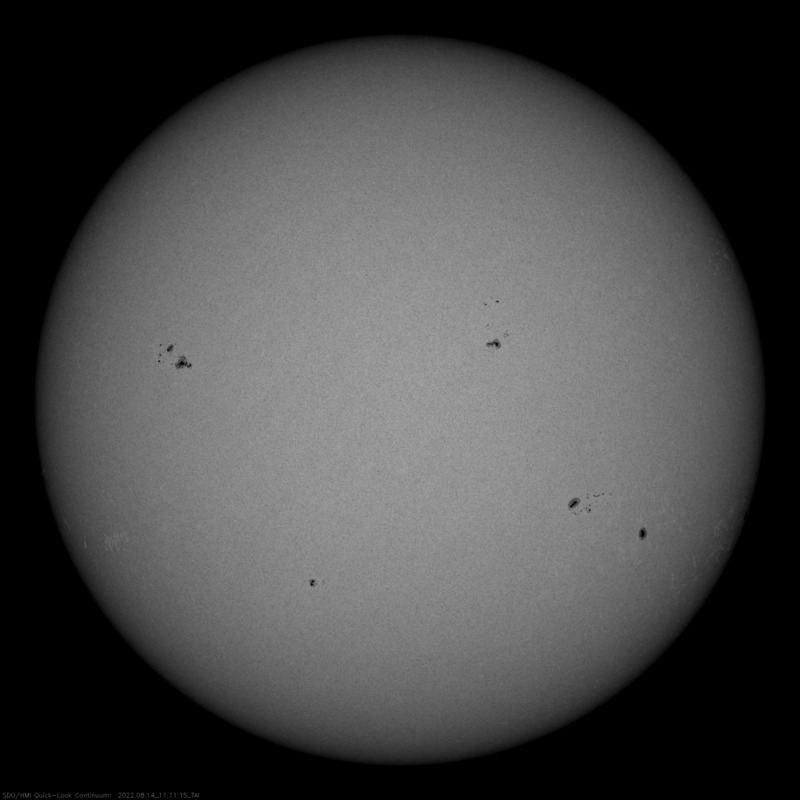 I was going to (and am) make a comment that fading contrast of sunspots may not be noticed in many media for a while. If photo editors want to print a photo of a sunspot, I’m sure most will crank up the contrast as needed to get a nice balance between light and dark. The SDO images would have a much better chance of not being enhanced, but I wouldn’t bet much on it. JPL has been enhancing images from planetary missions for decades, with good reason and effect. I imagine increased enhancement would show up in the faculae near the sunspot. However, with the revolution in Solar observing tools over the last solar cycle or two, it may be tough finding a couple photos worth comparing. Carsten – I forget if your observing includes photogrphy in addition drawing. Comments welcome! I’m glad you post these simple to follow graphs on the sun every now and then. Thank you, Watts. I’m no solar expert (don’t worry, people will be unable to resist setting me straight) but I’ll touch on a few of these. The tenuous stream of protons (I don’t know who counts the electrons) that flows from the Sun, complete with “gusts” due to solar activity, e.g. coronal mass ejections (CMEs). The Sun sends out radio frequency noise, that with a 10.7 cm wavelength in the microwave band is due to something or other, and matches sunspot activity well. In fact, due to the human factors in counting sunspots, the 10.7 cm flux is arguably the better parameter to watch. I’ve never figured out the importance of this. I’ll say “It has no importance.” There will be half a dozen comments correcting me. This is the latest space based solar observatory and produces absolutely wonderfully detailed images and other data on the Sun. Some of the images are based on different wavelengths of light, others are images of the magnetic fields on the Sun. Sunspots, in way-to-brief, are huge magnets that interfere with convection of solar plasma, so it cools off a little and appears darker than the surroundings. Livingston and Penn – my all time favorite piece of new science I’ve learned from WUWT. 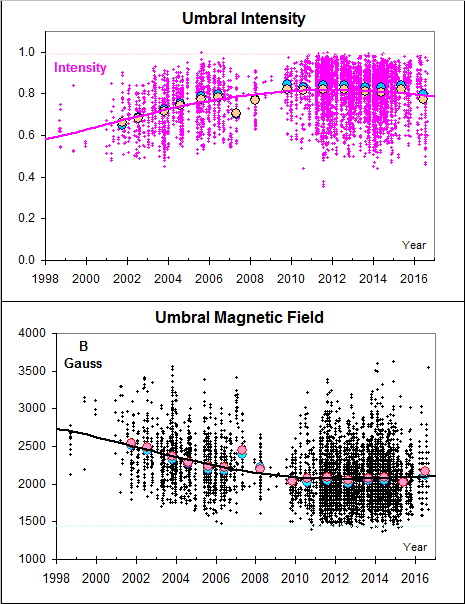 These folks have data showing sunspot’s magnetic fields are weakening, that the “umbrae,” the darkest area of a sunspot is warming, so the contrast is decreasing and that if things don’t change sunspots will cease to be visible. We don’t know what it means, but it might be what happened in the Maunder Minimum, a long period of time with few sunspots. Back then we didn’t know how to observe the magnetic influence on light or make accurate measurements of sunspot contrast. Leif is our main conduit to them, there’s a new paper I see. A couple old posts worth reviewing are http://wattsupwiththat.com/2008/06/02/livingston-and-penn-paper-sunspots-may-vanish-by-2015/ and http://wattsupwiththat.com/2010/09/18/suns-magnetics-remain-in-a-funk-sunspots-may-be-on-their-way-out/ The first one is pretty technical and describes the measurements in detail. Congratulations for officially joining the team, should we call it the L&P&S effect now? OTOH, the paper is protected by a pay wall. Sigh. I assume from the Abstract the content is about how to deal with sunspot counts when some of the spots that would have been visible are lost in the poor contrast now. And that the 10.7 cm flux remains a good metric of solar activity. L&P effect as a very rare event or a feature of the centennial low solar activity, we owe our thanks and congratulation to Dr Livingston for his persistence and now the publication, not forgetting those who did collaborate, support and finally did make sure that value of his work is recognized by the solar science. I regularly look at the little squished ‘cherry markers’ on your website. Did you go to sunny Hvar, or if you are there I suggest take a sailing trip down the cost to Dubrovnik and Kotor. Now for a bit of science: As you may suspect I am interested in the solar magnetic cycle which apparently continues regardless. Since I think it is possible to show that down here on the ‘terra firma’ the magnetic cycle intensity and polarity is more important than the plain SSN, I would hope that the happy looking crowd (p24 &p25) would soon come up with some numbers, to have a proper reference rather than ‘guessing’ by inverting alternating SSNs. I think you are aware that climate models are based on known physical interactions, where as homeopathy is based purely on belief. The total human CO2 output into atmosphere is currently about 30 million metric tons per year. A small calculation gives, that it means adding 10^27 extra CO2 molecules in atmosphere above each square meter of Earth’s surface, per year. Since CO2 has been found to act as greenhouse gas, I find it not so hard to understand that this could have a measurable effect in the long run, such as the physical models and observations suggest. You implicate that solar activity effects on global temperature lag apparently by decades or more, because you cannot find such relation visible in 1900 data – atleast not in the scale that would back up your views. I was only aware of (proofed) direct causal effects due to the changes of solar radiation flux density and the shape of Sun’s UV-spectra, caused by the different phases of the cycle. Magnetic storms on the sun driving tectonics? Or a desire for funding, perhaps. Human CO2 output into atmposhere, is a bit more than 30 million metric tons. However, it is not only how much that is important. CO2 only absorbes infrared at certain, very specific frequencies. you don’t need that much CO2 to do this, you eventually reach saturation and then additional CO2 doesn’t do much. Diminishing returns on more CO2. No one is disputing that CO2 is a greenhouse gas. The big argument is partly about a feedback effect. If it is significant, positive/negative, or if the climate system is much more complex… Hence the discussion about solar impact, ocean currents, water vapor, etc. There is a Wikipedia article on climate on Mars which is suggestive of Martian climate change (e.g. solar driven change, presumably). “There have been changes around the south pole (Planum Australe) over the past few Martian years. In 1999 the Mars Global Surveyor photographed pits in the layer of frozen carbon dioxide at the Martian south pole. Because of their striking shape and orientation these pits have become known as swiss cheese features. In 2001 the craft photographed the same pits again and found that they had grown larger, retreating about 3 meters in one Martian year. These features are caused by the sublimation of the dry ice layer, thereby exposing the inert water ice layer. More recent observations indicate that the ice at Mars’ south pole is continuing to sublime. The pits in the ice continue to grow by about 3 meters per Martian year. Malin states that conditions on Mars are not currently conducive to the formation of new ice. A NASA press release has suggested that this indicates a “climate change in progress” on Mars. In a summary of observations with the Mars Orbiter Camera, researchers speculated that some dry ice may have been deposited between the Mariner 9 and the Mars Global Surveyor mission. Based on the current rate of loss, the deposits of today may be gone in a hundred years. Anyway, one must never forget mother nature in all this, the zillions of tons of CO2 in and out of the atmosphere dwarf our human efforts. A relatively tiny change in biomass in/out will potentially cause a significant change in atmospheric CO2. Now, also take stock of the fact that this biomass relies on photosynthesis as a way of removing CO2. Remind yourself what drives photosynthesis? No doubt the ‘models’ will show us exactly how this will all work out, eh? Somehow, I think not…. “Human CO2 output into atmposhere, is a bit more than 30 million metric tons. Undoubtly so, since the number I used was from UN’s estimation for year 2008. It’s funny if on Earth saturation happens with so little amount of CO2 in atmosphere, whereas we know that in Venus its dense CO2 atmosphere causes a greenhouse effect equalling up to 450 degrees Celsius. Afterall – it is the exactly same radiation spectra shape that heats up it’s atmosphere (Venus is ~1/3 AU closer to the Sun and therefore gains ~ 9/4 times more flux). I certainly agree that it is not CO2 alone that defines Earths surface temperature, but then again climate scientists do include everything they can into their models – whereas you refuse to consider even the most obvious one. 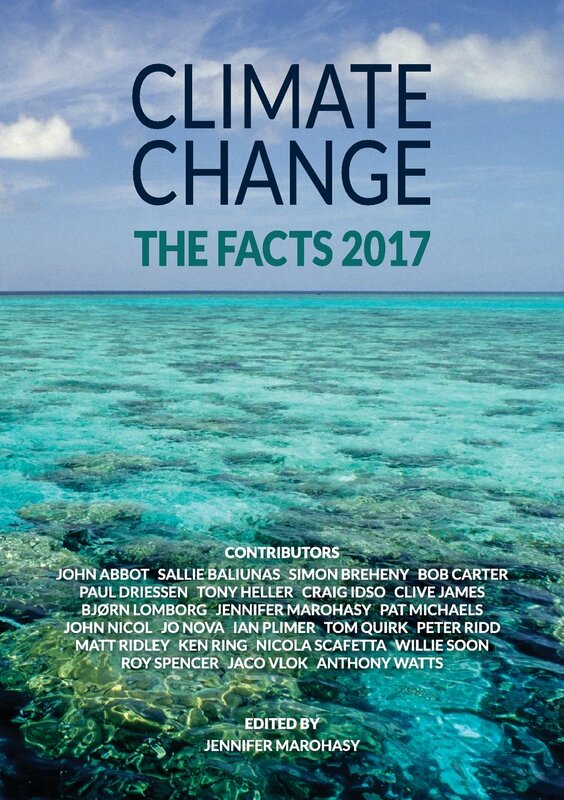 ….but then again climate scientists do include everything they can into their models – whereas you refuse to consider even the most obvious one. O, no they not! Not even the most obvious one. Human CO2 emissions are in the region of +30 gigatonnes (Gt) per year. A Gt is 10^9. So that’s 30,000,000,000 Gt per year, or thirty *billion* Gt; not 30 million (10^6). I think the UN tend to quote their data in ‘thousand of metric tonnes’ per year. So when they say global emissions of CO2 in 2008 were “29,888,121” this is “thousands of metric tonnes”; i.e. 29,888,121,000 tonnes in total ( 29.8 billion tonnes, or 29.8 x 10^9). Given the [apparent] wealth of circumstantial evidence correlating a dearth of sunspots with periods of cold climate on earth (e.g., Dalton and Maunder Minima), isn’t it odd that the NOAA site on Solar E-M activity makes no reference to the same? It would appear that most (if not all) of the effects on earth of solar events / non-events are assumed to be short-lived; is there evidence pointing to longer-term effects? Is there any research going on in this area? Should there be? Re my above. I’ve confused myself now. 30 Gt is 30,000,000,000 tonnes, not Gt! But the point remains: human CO2 emissions annually are in the region of 30 billion tonnes, not 30 million. 1) Establish the intrinsic solar influence. Mars is 50% further from the sun, a convenient amount to compare insolation. 2) Establish the lag time for solar influences Mars has no enormous heat sink, as does the earth, so it must be possible to establish some of these mysterious lag times that really confound the climate predictions and cycles. Thank you very much indeed for your excellent summary of this highly technical subject which has clarified so much for me as a layman. I intend to post it in full over at my blog (“An ill-favoured thing, sir, but mine own”) with due linkage to yourself and this blog. This would suggest that if co2 has a warming effect, then we have largely had all we are likely to get and that there is very little more to come if any, no matter how much co2 goes into the atmosphere. If so, then this is bad news for mankind come the next glaciation, we’ll have to find another way to create / increase global warming. On Earth, the only significant concentration of co2 (above the pacific), is in fact colder, not warmer as the climate models wrongly predicted. But then, climate models are always wrong about everything. Apologies for being a non expert. But NOAA is a politically correct co2 animal, and so they cannot possibly (under the current regime) admit that there may be factors driving temperature other than co2. I don’t think I’d ever again trust any data NOAA produce or anything NOAA said. Can this at least put to a rest the oft-repeated claim that the sun is the cause of recent warming?!?? No. The Sun is the cause of recent warming and will also be the cause of expected cooling. The Earth has a number of temperature buffers, mostly water, if it didn’t then night time temperatures would drop far far more than seen, witness temperature drops from day to night in desert regions where there is very little atmospheric water vapour in the atmosphere. Likewise there are longer term temperature buffers in play such as the oceans. Previous solar cycles have been high and we are likely still benefiting from those, however temperatures have been gently declining for nearly 15 years now. That the current solar cycle has been quiet is not yet fully reflected in today’s temperatures, and we might perhaps expect temperatures to decline a little more sharply over the coming years, as the solar cycle peaks and slides to it’s next low, and also as we come to the end of one our warm buffer periods. One of those may be the expected switch of the Atlantic’s 60 ish year cycle from warm to cold in a few years time. There’s a vast amount of work involved to fully answer your question. You have a lot of reading ahead of you. Perhaps someone here can find a good link or two which will more fully answer your question. I would have to disagree on the “known” part of your statement. Surmised perhaps but not known. The thing that raises a huge red flag for me is that the climate scientists are not willing to release methods and data. The fact that they are trying to hide them tells me that they are probably false. It would be like buying a car from a used car lot when the salesman refuses to let you look under the hood. People who have nothing to hide don’t hide things. It would be foolhardy to buy off on that. Not releasing data and methods is considered bad science or BS. I think many of us here have had enough BS for now and would just like to see some honesty for a change. Every time Anthony shows the Ap graph something happens….it is called the “Watts-effect”. We´ll see what happens now…..
NOAA is the source of the first three graphs which Andy put up on this blog post. Certainly there are SOME SCIENTISTS working at the NOAA who are inquisitive about a scientific basis in correlating low sunspot numbers and a cooling earth! Svalgaard, Hultqvist, Vukcevic, …: know anyone there? Number of people posting here think or believe that the Earth cooling is directly related to low sunspot numbers, but I am not one of them, apparently there is no convincing evidence. I think, for what is worth, that solar input is via geomagnetic link, but even then it is not simple, it also depends on the changes in the Earth’s magnetic field intensity, so even strong cycle (SC19, 1960) resulted in cooling rather than warming. If paddle steamer had no rudder, when paddle wheels (= sun’s and Earth’s magnetic fields) turn at same velocity than steamer travels in the strait line (= temperature rise) else it would swerve to one side or the other (= cooling). Thank you for the response — and for the picture of the Unterwalden Steamer (from Vierwaldstättersee – Lake Luzern): Classic Lake Steamer, now > 100 y old and back in business! So you’re saying there could well be a relationship, but it might be far more complex than just sunspot activity (i.e., the earth’s and the sun’s e-m fields; perhaps also effects from other planets, cosmic rays, …). Right? Shouldn’t this logically be an area of considerable interest for NOAA or NASA (or CRU, PIK, …)? 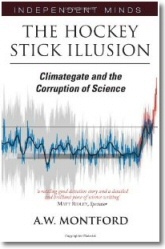 Has it ever been addressed in IPCC reports? RE: “Number of people posting here think or believe that the Earth cooling is directly related to low sunspot numbers”. Is that true? I haven’t noticed anyone who has said they think or believe sun spots are directly the cause of Earths warming or cooling, if that’s what you meant? Gravity and Mass to Energy and the various configuration of this complex process are the main players, sun spots are one of many Indicators of the underlining mechanics of the sun, I would have thought when people discuss sun spots they are usually referring to the suns current, past or future activity as a reference frame in regards to Earths temperature or the influence on climes on a longer timescale from the overall solar activity. Anthony, thanks for these posts, I really enjoy reading these discussions here.